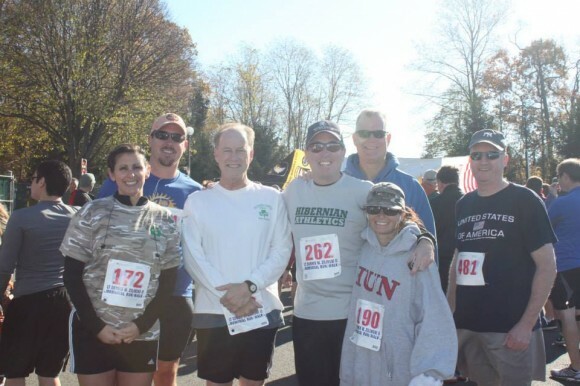 Members of the Ancient Order of Hibernians Patrick Torphy Division continued their Hibernians Helping Heroes Project on Sunday November 10 as one of the sponsors of the Run With Dennis event. Run with Dennis is a 5K Run supporting the Dennis Zilinski Foundation. Dennis was CBA and West Point graduate who was Killed In Action in Iraq in 2005. Since that time, the Zilinski Family has operated the foundation to benefit Wounded Warriors.